Beautiful place, located in sharming mountain village. Really enjoyed. We loved our stay at Mountain Villas Polana. It was clean and very nice, quiet place and we loved the privacy. Also the parking and location is great! Closeness to ski school and terrains is excellent! It was nicely warm in the apartment, there was a lot of space for luggage, there were enough dishes, the dishwasher was very helpful. The apartment was quite clean (I am very, very picky and it was still quite ok). Quiet area, everything was clean and comfortable, the bathroom was extremely spacious. :) Perfect location, 10 minutes walk from the train stations. Strong Wi-Fi. It is written in the confirmation email that you should pick up the keys and bring them back to another village called Horny Smokovec. It's true but if you go by train you should get off at the Pekná Vyhliadka station or you can reach it by walk as well in about 15 minutes from the apartments. And they ask 50EUR deposit for the keys in cash. Excellent location. Comfortable apartments. Mountain view. Fireplace. Posedenie na slnečnej terase,súkromie,tiché prostredie,rozloženie ubytovacej jednotky. Lock in a great price for Mountain Villas Polana – rated 8.7 by recent guests! 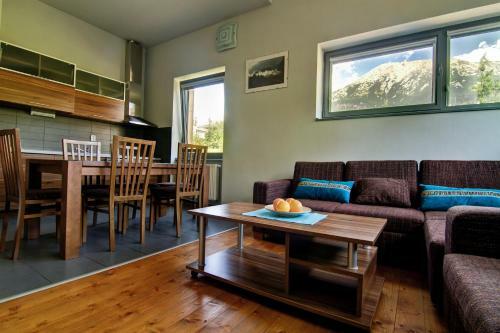 Mountain Villas Polana This rating is a reflection of how the property compares to the industry standard when it comes to price, facilities and services available. It's based on a self-evaluation by the property. Use this rating to help choose your stay! 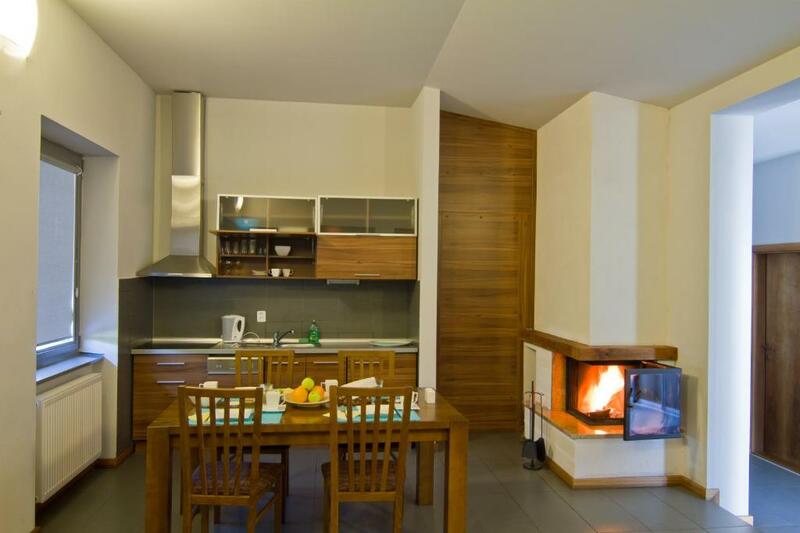 One of our top picks in Vysoké Tatry.The modern Mountain Villas Polana complex of villas in Smokovec is designed for family breaks and active holidays. 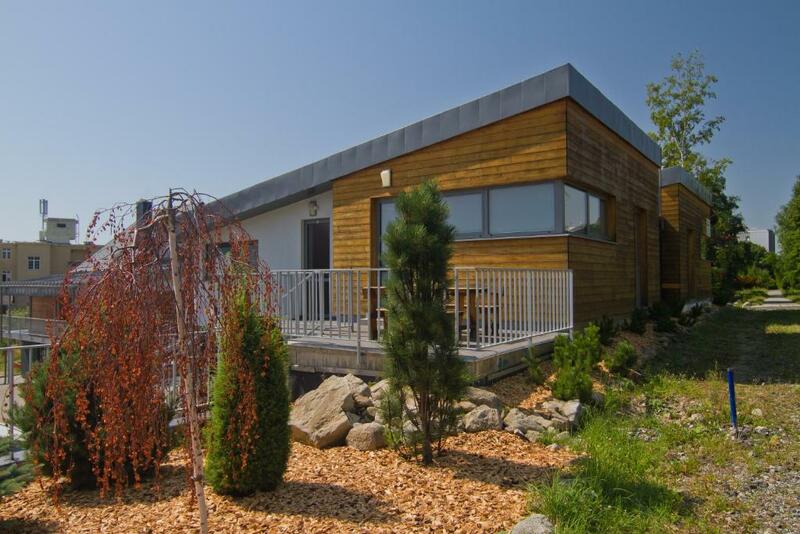 It is located 500 feet from Hrebienok Cable Car and Stary Smokovec center. 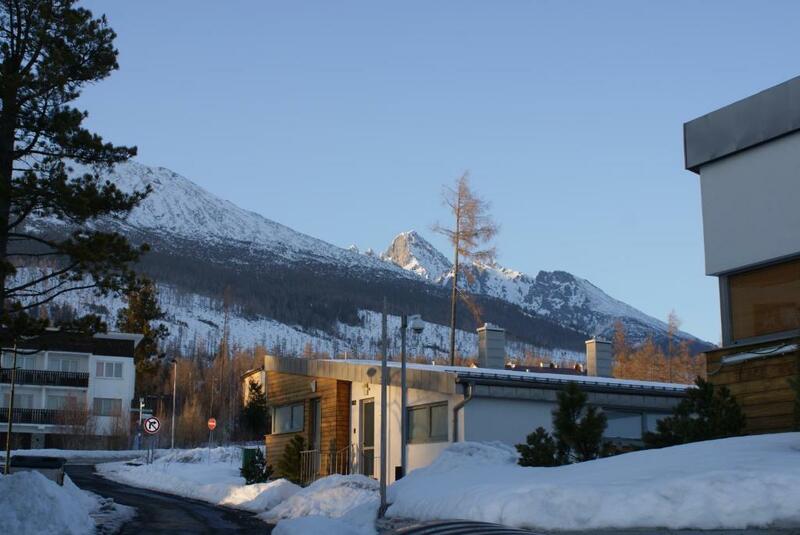 All the apartments boast a magnificent view of the High Tatras (Vysoké Tatry) and have their own parking space. They boast luxurious equipment, an electronic door lock and Wi-Fi free of charge. On request, 2 apartments in each villa can be connected for a bigger group of guests or a family. 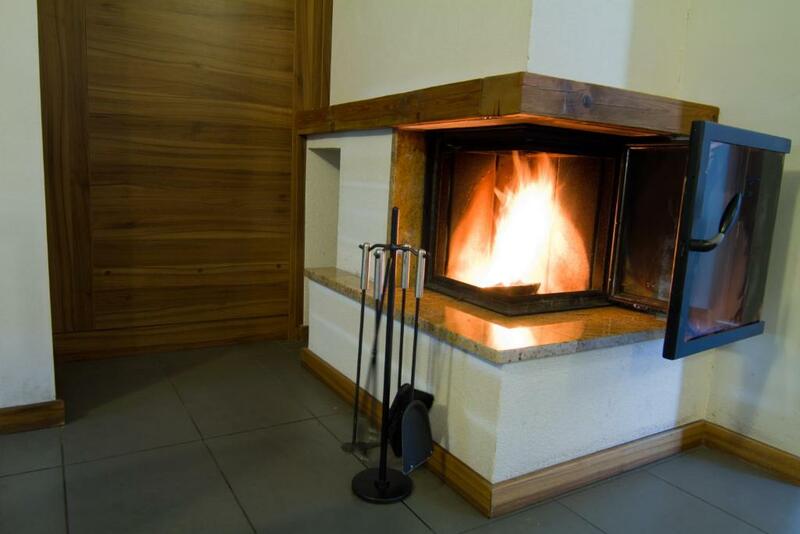 This is our guests' favorite part of Vysoké Tatry, according to independent reviews. 뀐 Located in the top-rated area in Vysoké Tatry, this property has an excellent location score of 9.5! When would you like to stay at Mountain Villas Polana? Studio on the ground floor with a basic kitchenette and dining table for 2 people. Apartment with 2 bedrooms, a kitchen, a flat-screen TV, a bathroom, and a terrace. Large apartment with 3 bedrooms, a kitchen, a flat-screen TV, a bathroom, a balcony, and a terrace. Apartment comes with private bathroom, fully equipped kitchen and living room with seating area and satellite TV. Apartment with a private bathroom, a fully equipped kitchen, satellite flat-screen TV and a fireplace. Mountain Villas are located 150 m from the funicular station to Hrebienok. Villas are very close to the centre of Starý Smokovec. Guests can enjoy a fire place in some apartments in the winter. 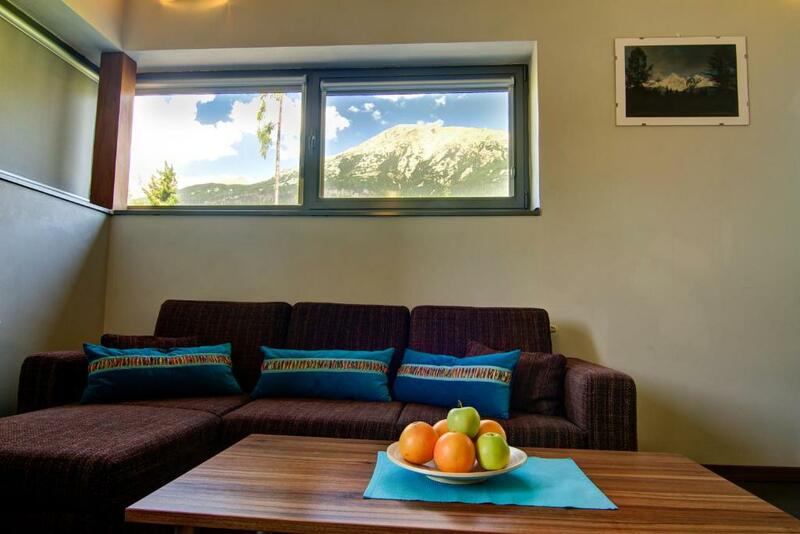 Guests can have breakfast at the terrace enjoying a view at the Tatra mountains. 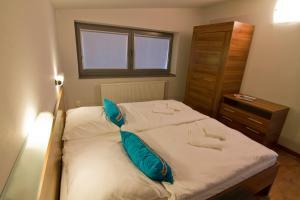 We also offer more reasonable accommodation in four studios. 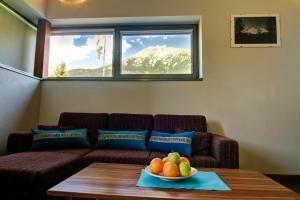 Mountain Villas are located in the National Park of High Tatras. Guests can walk or take funicular to Hrebienok and from there trek to a number of mountain huts. There are skiing slopes for good skiers and beginners. House Rules Mountain Villas Polana takes special requests – add in the next step! Mountain Villas Polana accepts these cards and reserves the right to temporarily hold an amount prior to arrival. Please note that check-in takes place at Pension Polana, Horny Smokovec 14, 062 01 Vysoke Tatry. Please note that a refundable deposit will be charged for the keys. Please inform Mountain Villas Polana of your expected arrival time in advance. You can use the Special Requests box when booking, or contact the property directly using the contact details in your confirmation. Cleaning was poor. Despite the fact that Villas are rather new, the maintenance was poor (destroyed sofa). Ambiance of the villas are closer to ugly hotel room rather then cosy family Villa. Wifi (Internet) was absolutely terrible, 3 bedroom villa has only one toilet, bathroom has fixed shower (not possible to shower small kids). Overall the feeling from outside was positive, due to nice new villas architecture, but the focus on detail inside was very poor. The keys we had to collect in partner hotel 5 minutes driving away. I also did not understand the cleaning services, because somebody came to clean the trash once per day, but did not touch anything else. After 2 days we run out of paper towel and did not get replacement for the whole week. It was not comminucated clearly that we need to oick up keys at a different location. Also we were not informed we need 50 euros for depositin cash. Would have been so much nicer if we get anemail with these information before arrival. The lady at the reception was very nice! Pillows were uncomfortable and a sofa could be fixed.